Rosie and her mother coexist in the same house as near strangers. Since Rosie's father abandoned them years ago, her mother has accomplished her own disappearing act, spending more time with her boss than with Rosie. Now faced with losing her grandfather too, Rosie begins to visit him every day, traveling across town to his house, where she helps him place the things that matter most to him "In Trust." As Rosie learns her grandfather's story, she discovers the role music and motion have played in it. But like colors, memories fade. When Rosie stumbles into the House of Dance, she finally finds a way to restore the source of her grandfather's greatest joy. 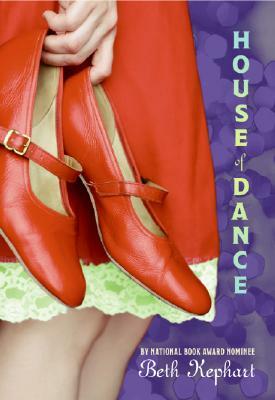 Eloquently told, National Book Award finalist Beth Kephart's House of Dance is a powerful celebration of life and the people we love who make it worthwhile.